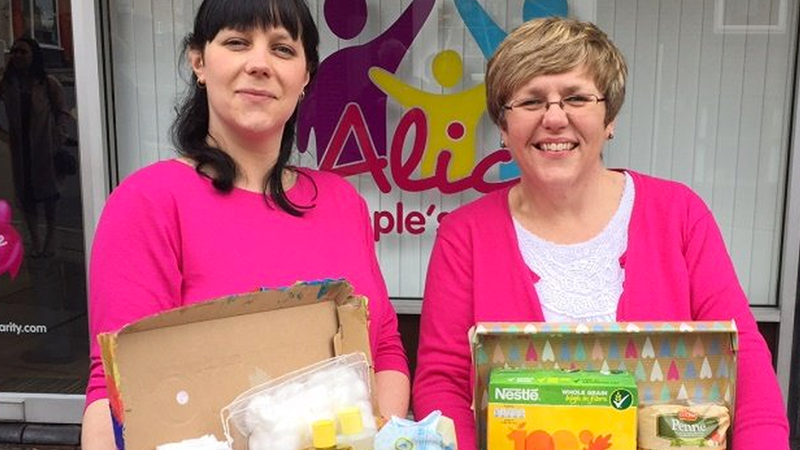 Founded by mother-daughter duo, Steph Talbot & Emily Petts, Alice Charity was born in 2011 in response to the lack of available support for disadvantaged, local families. Steph and Emily were on a mission to make sure the most vulnerable families across Stoke and Newcastle had access to the kind of unconditional love and support they had received from their family. And it’s this ethos of unconditional love and kindness that beats at the heart of Alice. From their first free, weekly baby and toddler group in Clayton, Steph and Emily were able to identify a few local families who desperately needed some emotional support and help with essential items for their homes. And as demand grew for Alice’s services, both directly from local families and from local agencies, the charity opened the doors to its first office at Silverdale Enterprise Centre in 2013 and began supporting many local families in many ways. As the need for support became even greater, Alice Charity quickly outgrew their space in Silverdale and needed a much bigger office to recruit more volunteers. So, in August 2016, Alice moved to their current home on Queens Parade, Newcastle. Today, Alice Charity continues to work across the communities of Stoke and Newcastle, delivering one-to-one support within the family home and community-based initiatives, which support the whole family. For the last 7 years they’ve worked with vulnerable families to build resilience and independence — and break the cycle of poverty. To ensure the charity’s future sustainability and to give full support to those it helps, Alice Charity offers adults from supported families the opportunity to volunteer. Once in a stable and confident position, they can start to work with the charity and help to support others. This not only increases the number of struggling families Alice Charity can support, but also helps with the individual’s growth — developing skills and building self-worth by positively contributing to their community, being a role model for their family and braking the cycle of poverty and unemployment. Alice Charity knows the greatest barrier to self-development is low confidence and negative messaging from others. They aim to change this by empowering local people with the confidence to work with them. The charity then helps them embrace other opportunities and succeed beyond Alice, such as in employment elsewhere or furthering their education. They know that enabling and empowering people and communities is the best way to impact change. So they equip local people with the skills they need to develop their own communities, normalise success for those who never felt they could achieve and break down barriers. By providing training and employment opportunities for those who have previously been supported by Alice, the charity wants to challenge what is normal in communities that have been hit hard by poverty and unemployment. Alice Charity believe that raising the aspirations and skills of individuals will start a ripple effect that positively impacts the wider community.